Five more animated adventures following Mickey Mouse (voice of Wayne Allwine) and his friends. In this instalment, the gang get ready to perform live on stage as Minnie (Russi Taylor) is invited to sing at the top of Mistletoe Mountain. 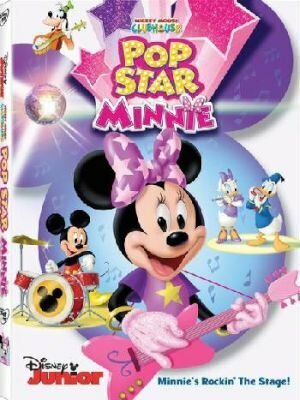 The episodes are: 'Pop Star Minnie! ', 'Mickey's Clubhouse Rocks', 'Minnie and Daisy's Flower Shower', 'Minnie's Mouseke-Calendar' and 'Mickey's Big Band Concert'.